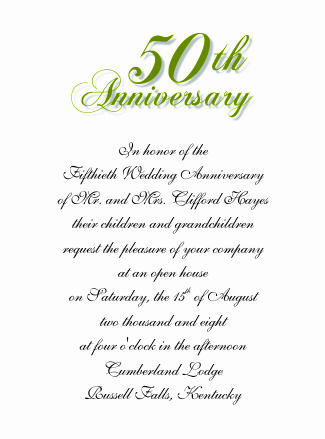 This anniversary invitation is available in three different size/layouts including a No. 6 flat card, Lee size flat card and No. 6 folded card. Click graphics for larger views. This template is available in Corel Draw, InDesign, Publisher and Word formats. You can easily customize these templates with your favorite fonts and colors. 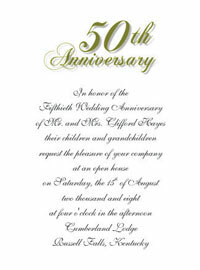 All formats for this menu include only one file which is for the invitation itself. This invitation card can print 1-up on 8 1/2" x 11" paper. 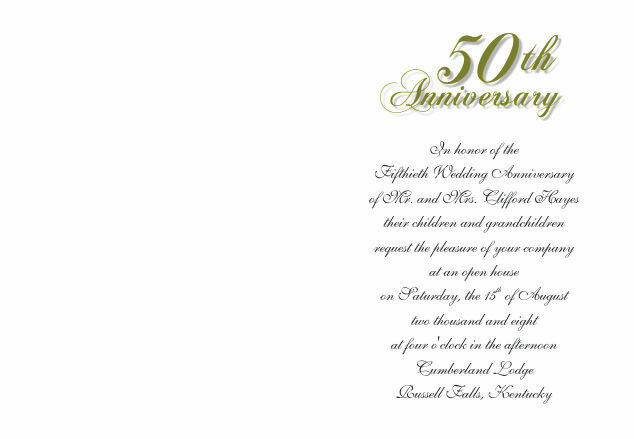 Same layout in a half-fold card design. Size - 6 1/4" tall by 9" wide, folds to 4.5" wide by 6.25" tall. Prints one-up on letter size paper. Same layout on a Lee Size Card. Size - 5 1/8" wide by 7" tall. Prints one-up on letter size paper.